For ( DIY Purposes only ) not suitable for professional use. 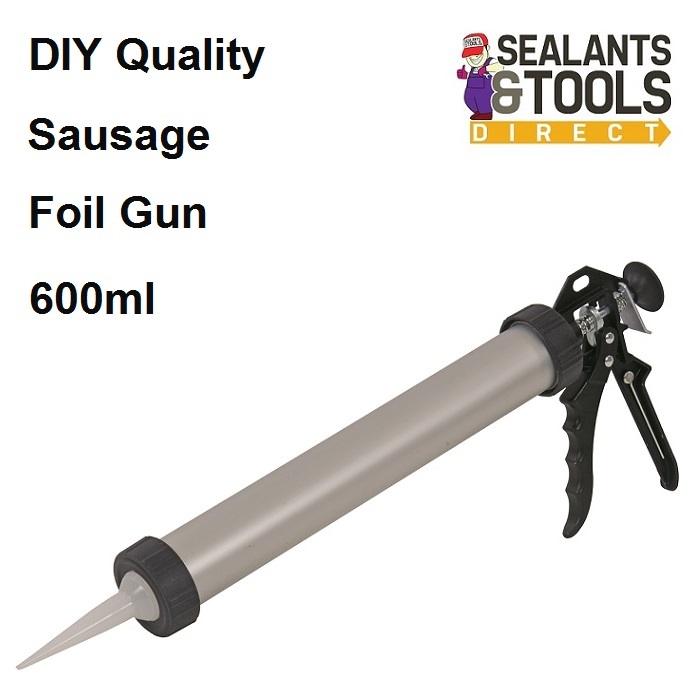 Barrel or bulk guns are easy to use with foil sausages. Now put the end cap with nozzle inserted onto the gun, squeeze the trigger to put pressure on the nozzle cut to size and away you go. To release pressure in gun simply press the thumb leaver. When you come to the end of the sausage simply remove the end cap ensuring not to get product onto the threads if this does happen use Geocel The Works to remove it.